If you’re starting to feel like everyone in America is either a morally bankrupt celebrity or corrupt politician, then this is the video you need to watch. 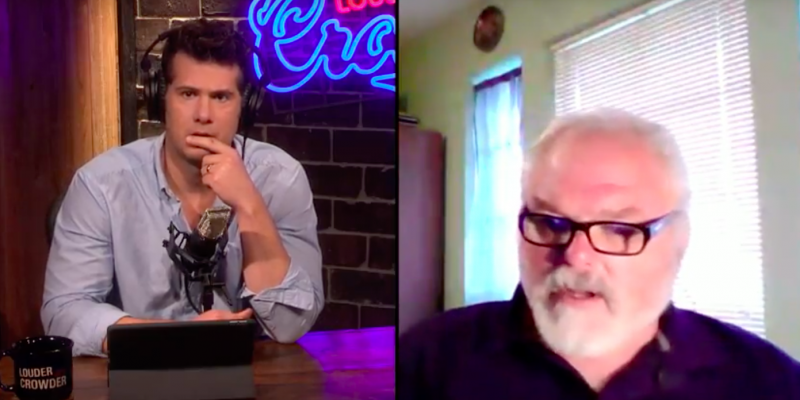 Steven Crowder sat down with American hero and certifiable badass Stephen Willeford, who shot back at the Sutherland Springs shooter after he killed almost 30 people in a Baptist church Sunday. Willeford, who has lived in Sutherland Springs a long time and loves his community, gives you his firsthand experience of hearing gunshots from his house and diving headfirst into an extremely dangerous situation. The guy is extremely humble and remarkably well-spoken. I was at home, and I was in my room relaxing. I started hearing a sound and it sounded like someone tapping on my window. I’m about a block away from the church. My older daughter ran in, she was cleaning dishes in the kitchen and said, ‘Dad doesn’t that sound like gunfire?’ I said, ‘That sounds like someone tapping on the window.’ It was a rapid tapping. I went to the window and I could not see anything. I followed her into the kitchen and when I got into my kitchen I could tell it sounded like gunfire. Before heading out, Willeford tells his daughter to load a magazine clip to keep her busy while he deals with the shooter. Once he nears the church, he sees Kelley and begins exchanging gunfire, using a neighbor’s truck for cover. When Kelley drives away, Willeford flags down a guy who watched the whole thing and they give chase to Kelley while calling the police. Willeford talks about how eventually Kelley stops and he holds a gun to Kelley’s truck until the police come. Willeford admits that he’ll probably need to see a counselor to process everything he’s gone through. Right now, the media won’t let him leave his house and all he really wants to do is hug some of the victims of the shooting. His family have lived in Sutherland Springs for a long time, and every year he goes with the Baptist Church for charity. I’m having all kinds of issues, I know police officers go through counseling and I probably have to go to a counselor. I’m a little bit angry at the media, that’s going to make you happy. My issue is I feel like a prisoner in my own home. This is crazy crazy, they’re coming up to my door and sticking cards in my door. But even with all the trauma, he said he would do it all again if he had to. I’ve been saying that this is tough and nobody wants this, but I would do it again if I had to. Even with how tough it is and people are saying whatever, I would do it again if I had to. I’m no brave man, I was terrified. Willeford, who is also an NRA instructor, also gives the solid point that he used an AR-15 to combat Kelley’s AR-15. If I had run out of the house with a pistol and faced bulletproof vests with kevlar helmets, it might have been futile. I ran with an AR-15 and that’s what he was shooting the place up with. I hate to politicize that, but that’s reality. The whole video is worth a watch. We see plenty of awful of people everyday in our news cycle, but guys like Willeford show what the best of America can be. Texas, and America for that matter, should be proud to have a guy like him. Next Article Should NFL Players Who Don’t Acknowledge the National Anthem Be Shot?